Note If you see an error code when you try to start a game or an app, search for the code in the Error & status code search tool. If you're having trouble when you try to update your Xbox 360 console, visit Troubleshoot problems with an update to your Xbox 360 console. An update is available for this game from Xbox Live. Do you want to apply this update now? Xbox game and app updates download to your Xbox console. Generally, updates fix problems, add features, or prepare for new Xbox Live content. You'll be prompted to install available updates when you start the game or app. You must be connected to Xbox Live to update a game or app. Most updates are fairly small and install automatically within a few minutes. You might be able to correct problems related to downloading a game or app update by deleting the game or app from your console and then installing it again. If you’ve installed the game or app on your hard drive, you’ll have to install it again after you delete it. If you purchased the game or app from Xbox Live, you’ll also have to download it again after you delete it. Don't worry, you won’t be charged for content you’ve already purchased. For information about how to download content you‘ve already purchased, see View your Xbox Live download history on your computer or Xbox 360 console. Warning When you delete a game, saved game information is also deleted. So, before you delete a game, copy your saved games to an Xbox 360 Memory Unit or a USB flash drive. For information about how to copy content to a storage device, see Copy, move, or delete Xbox saved games, profiles and avatar items. Find and select the game or app you want to delete. Browse your download history. Select the item, and then select Download Again. Note If you want to see the charges on your Xbox Live account, see Check your Xbox Live subscription and transaction history. If you originally installed the game from a disc, install the game again. Copy the saved game information from your memory unit or USB flash drive back to your Xbox 360 Hard Drive. Start the game, and then download the update again when prompted to do so. Plug one end of a network cable into the back of your Xbox 360 console and the other end into your modem. On the console, sign in to Xbox Live and start the game. Choose to download the game update. 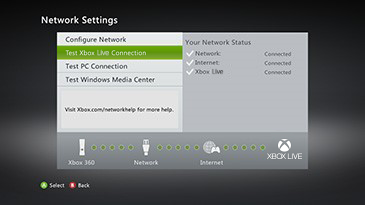 If you can download game updates when the Xbox 360 console is connected directly to the modem, but you can’t otherwise, there might be a problem with your router or gateway configuration. Contact the manufacturer of your router or gateway for help troubleshooting this problem. If you’ve tried all of these solutions and still can’t download a game update, your Internet service provider (ISP) may help resolve this issue. What happens if I don’t install the update? You can still play your game even if you don’t install the update. However, you won’t be able to connect to Xbox Live while you play, and you won’t have access to multiplayer or online features. What if I don’t have access to Xbox Live? If you don’t have access to Xbox Live, you can use the game or app offline, but you can’t update it. How do I know if my game is up to date? 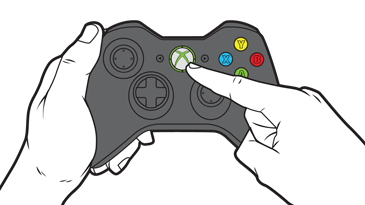 Make sure your console is connected to Xbox Live, and then start the game or app. If an update is available, you’ll be prompted to install it. Otherwise you’re up to date and good to go. Do I have to buy additional content for an update? No. Although some updates prepare a game for new content, you don’t have to purchase anything to get the update. I’m having a problem with an update. If you're having a problem downloading or installing an update, see Solution 2, above. If you’re connected to Xbox Live, clear your system cache and then try to download or install the update again. Note If you see an error code when you try to install an update, visit Xbox 360 system update error codes. Would you like to contact Support regarding the "You’re prompted to apply a required update for a game or app on your Xbox 360" issue you were reading about or a different issue?